AUSSIES knew our banks were imperfect. But over the last year, we have become ever more horrified at the sheer scale of the bad behaviour revealed by the banking Royal Commission. Our financial sector has been ripping off all kinds of people - even the dead - and fattening their bottom lines on the proceeds. 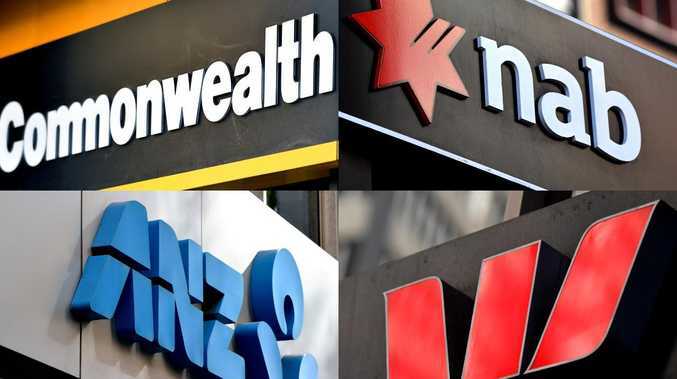 Banks make huge profits from Australians and are an enormous part of Australia's economy. They hold our life savings. Our superannuation depends on them. And let's not forget - they also own a big chunk of most Australian's homes. The financial sector - banks insurance, super funds and the rest - must be above reproach. It is absolutely essential we can have faith in them. With the Royal Commission's final report due to be released today, the big question is this: What will it take to restore Australians' trust? • A former CEO of Commonwealth bank allegedly told a staff member to "temper your sense of justice." That staff member was complaining about selling insurance to people who would be unable to ever make claims. • Customers were charged for life insurance even after they were dead. • There have been allegations of criminal behaviour at multiple financial firms including several of our large banks. • Companies lied to the regulators that were supposed to police them. The work that needs to be done to restore trust is substantial. It will take years. But there are promising signs it could be about to begin. The Commissioner of the inquiry, Kenneth Hayne, is a former judge. 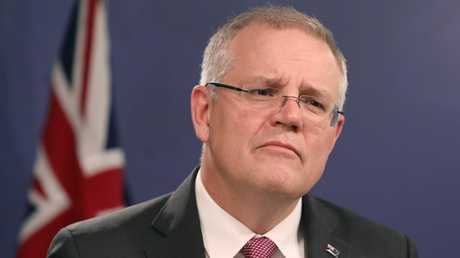 Choosing someone from outside the finance industry to run the Royal Commission gives extra hope to those who want big changes in the industry. Hayne - and his sidekick Rowena Orr, QC, who interrogated many of the top CEOs - have shown no sign of going soft. They have vigorously pursued banks and finance firms. Hayne has accused them of being motivated by greed. Whether you call it greed or bad incentives, a lot of the worst behaviours did come about because employees were paid to push products on people. The worst was when those employees were selling products that did not suit the customer but did suit the company they worked for. The era of banks owning financial advisory companies that sell the bank's own products could be over. That would be fine by Commonwealth Bank, NAB and ANZ who have seen the writing on the wall and recently sold their financial advisory businesses. 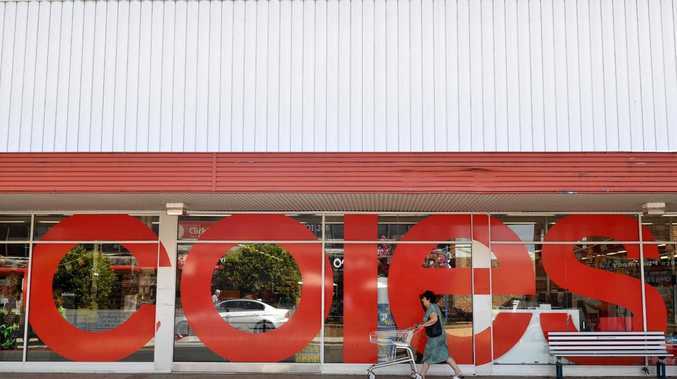 Westpac might find Monday uncomfortable if the report recommends those businesses should be split. their resumés because their industry could be in for a huge shake-up. Insurance salespeople too. Another big part of the solution will be making sure the finance sector has regulators it fears. ASIC and APRA have been handing out tiny fines and gentle scoldings for too long - even though the law lets them be much tougher. The future requires enforcement agencies that are brave. Ones that take banks to court and win. Ones that hand out penalties big enough for a bank to actually notice. The Royal Commission doesn't make law. It just makes recommendations. The law-making has to happen in parliament. Will this whole thing go nowhere or will we get real change? 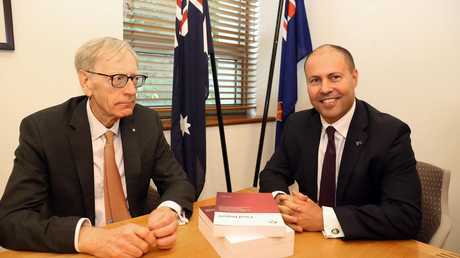 Much will depend on new Treasurer Josh Frydenberg and how he decides to respond. Frydenberg - who ascended into the Treasurer's office when Scott Morrison became PM - hasn't even handed down a Budget yet. This will be his opportunity to make a mark as top economic minister. The banking industry's lobby group will be whispering in his ear. Australia needs the Treasurer to have the guts to do what's right. Does he have the guts? We will soon find out.